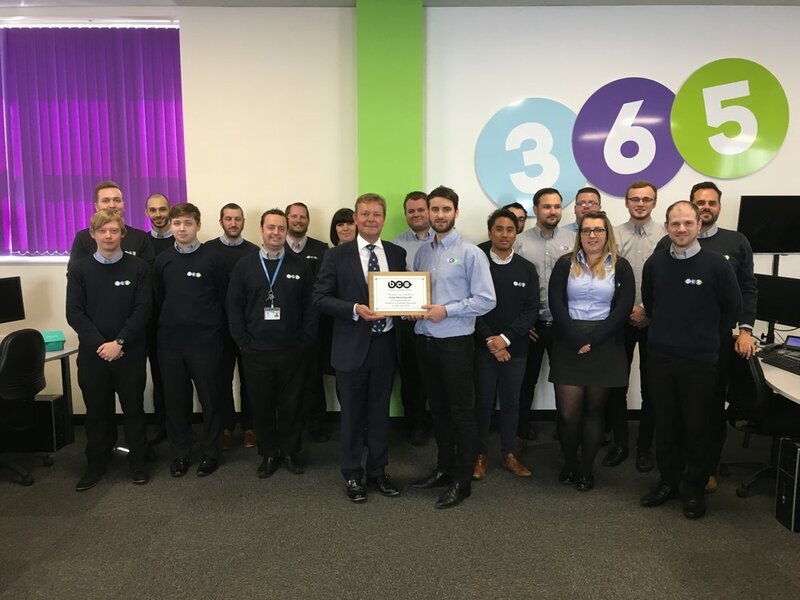 On Friday 29 June, Craig Mackinlay MP celebrated National Employee Ownership Day by visiting Business Computer Solutions (BCS) in Ramsgate to witness their transition to an Employee Owned Organisation dubbed the Great BCS Takeover. This entailed BCS’ Chairman, Gareth Johns, handing over the keys of the business - that has provided IT support to organisations in Kent since 1996 - to their Managing Director, Martin Hynes. To mark the transition, customers, vendors, staff and friends of BCS will attend a party with local band EK1 at the Winter Gardens in Margate on Saturday evening. “I was honoured to be invited by the team at Business Computer Solutions to join them in marking the Great BCS Takeover on National Employee Ownership Day. “The economic contribution of employee ownership is significant and growing because co-owned companies tend to be more successful, competitive, profitable and sustainable. “That’s why I am so pleased that BCS have decided to take advantage of the many benefits of Employee Ownership. “The three founders of BCS discussed what should to be our most important legacy, unanimously agreeing that it would be culture. “The move to employee ownership represents a fantastic opportunity for the business to reach new levels of success, through a shared commitment of its members, together with the solid foundations which have kept the business growing for over two decades.